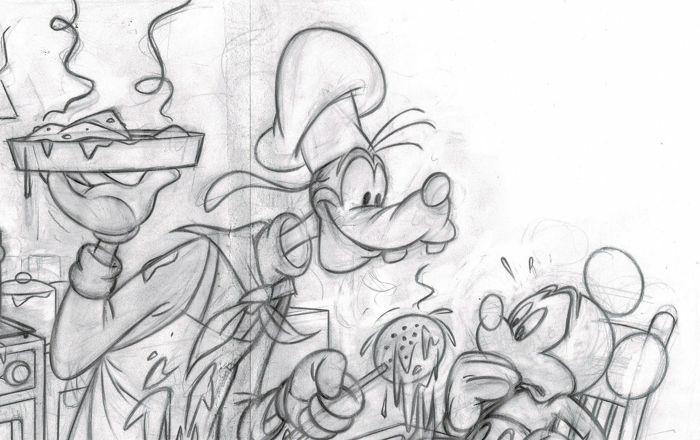 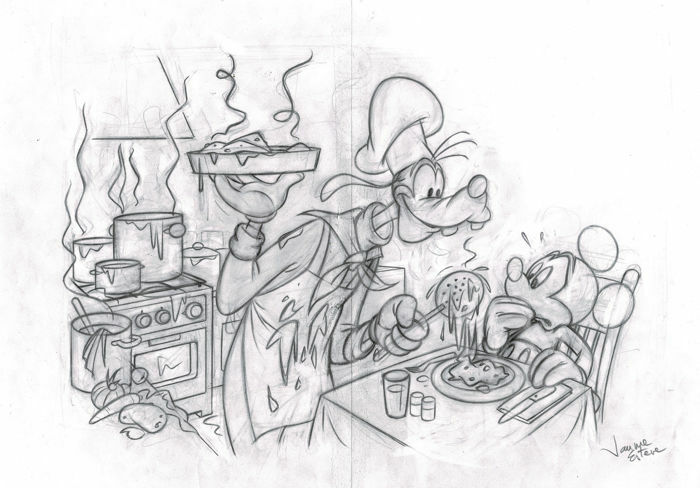 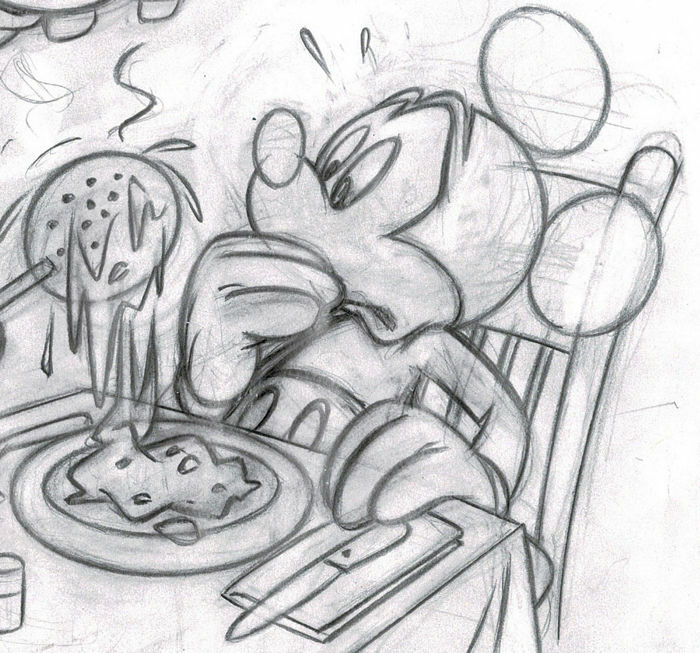 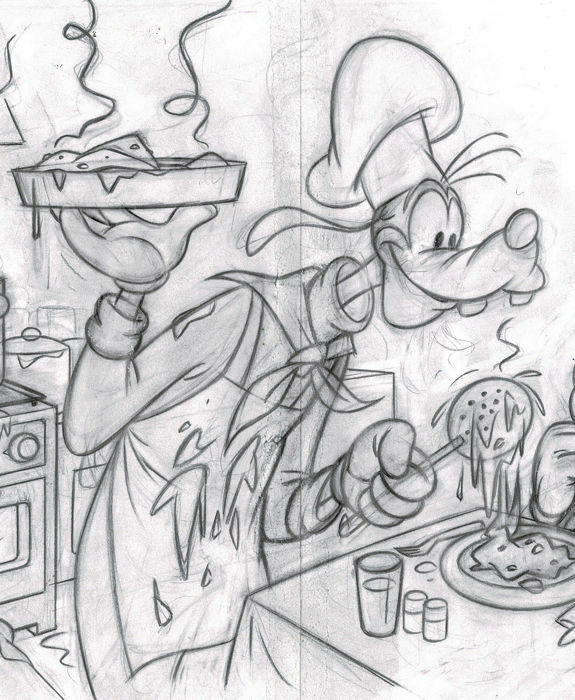 This lovable original drawing of GOOFY as chef-de-cuisine serving to a doubtful MICKEY MOUSE has been created by Disney artist Jaume Esteve as a preparatory work for a final drawing. 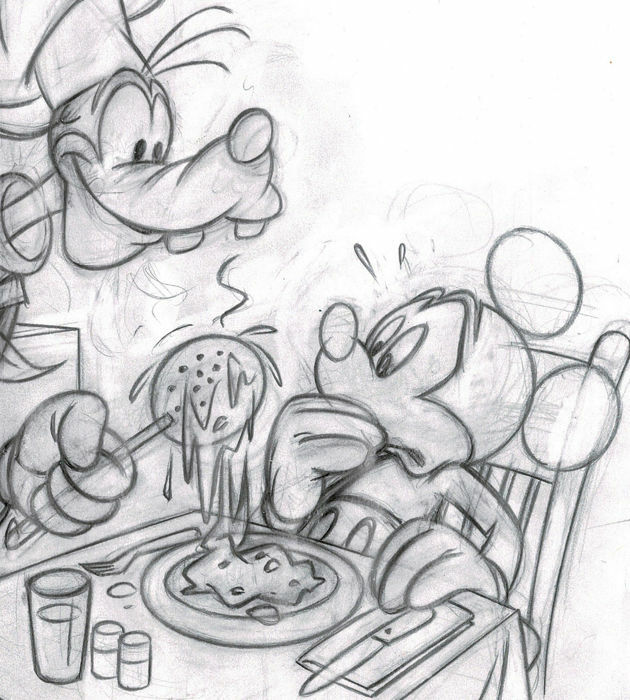 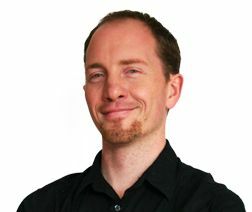 Spanish artist Jaume Esteve has been drawing for Disney Studios for more than 20 years in USA and Europe. 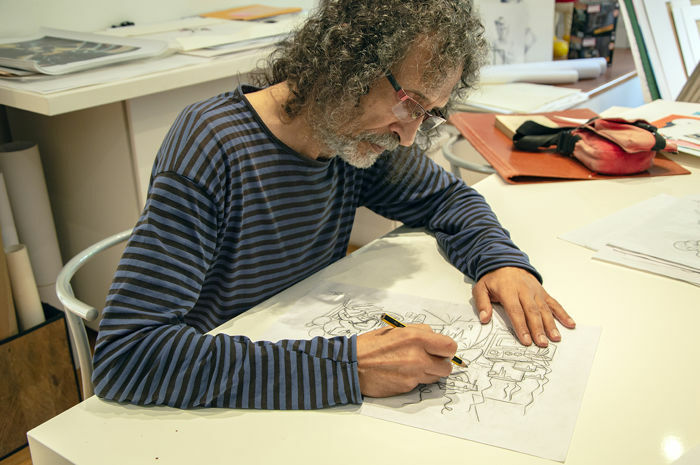 This delightful original creation comes from Jaume's personal collection and has been specially selected by himself to be distributed.